When Greenwald met Snowden: "Spark a ... movement against the dangers of state surveillance"
In the face of my inaction, C. stepped up his efforts. He produced a 10-minute video entitled PGP for Journalists. I take seriously any message from Laura Poitras. I replied immediately: “Actually, just got to the U.S. this morning… Where are you?” We arranged a meeting for the next day in the lobby at my hotel and found seats in the restaurant. At Laura’s insistence, we moved tables twice before beginning our conversation to be sure that nobody could hear us. Laura then got down to business. She had an “extremely important and sensitive matter” to discuss, she said, and security was critical. “I’m willing to do what I have to do to report this,” I said. The source — whose name, place of employment, age, and all other attributes were still unknown to me — asked if I would come to Hong Kong to meet him. I did not ask why he was there; I wanted to avoid appearing to be fishing for information and I assumed his situation was delicate. Whatever else was true, I knew that this person had resolved to carry out what the U.S. government would consider a very serious crime. For the next 16 hours, despite my exhaustion, I did nothing but read, feverishly taking notes on document after document. One of the first I read was an order from the secret Foreign Intelligence Surveillance Act (FISA) court, which had been created by Congress in 1978, after the Church Committee discovered decades of abusive government eavesdropping. The idea behind its formation was that the government could continue to engage in electronic surveillance, but to prevent similar abuse, it had to obtain permission from the FISA court before doing so. I had never seen a FISA court order before. Almost nobody had. The court is one of the most secretive institutions in the government. All of its rulings are automatically designated top secret, and only a small handful of people are authorized to access its decisions. The ruling I read on the plane to Hong Kong was amazing for several reasons. It ordered Verizon Business to turn over to the NSA “all call detail records” for “communications (i) between the United States and abroad; and (ii) wholly within the United States, including local telephone calls.” That meant the NSA was secretly and indiscriminately collecting the telephone records of tens of millions of Americans, at least. Virtually nobody had any idea that the Obama administration was doing any such thing. Now, with this ruling, I not only knew about it but had the secret court order as proof. Only now did I feel that I was beginning to process the true magnitude of the leak. I had been writing for years about the threat posed by unconstrained domestic surveillance; my first book, published in 2006, warned of the lawlessness and radicalism of the NSA. But I had struggled against the great wall of secrecy shielding government spying: How do you document the actions of an agency so completely shrouded in multiple layers of official secrecy? At this moment, the wall had been breached. I had in my possession documents that the government had desperately tried to hide. I had evidence that would indisputably prove all that the government had done to destroy the privacy of Americans and people around the world. In 16 hours of barely interrupted reading, I managed to get through only a small fraction of the archive. But as the plane landed in Hong Kong, I knew two things for certain. First, the source was highly sophisticated and politically astute, evident in his recognition of the significance of most of the documents. He was also highly rational. The way he chose, analyzed, and described the thousands of documents I now had in my possession proved that. Second, it would be very difficult to deny his status as a classic whistleblower. If disclosing proof that top-level national security officials lied outright to Congress about domestic spying programs doesn’t make one indisputably a whistleblower, then what does? Shortly before landing, I read one final file. Although it was entitled “README_FIRST,” I saw it for the first time only at the very end of the flight. This message was an explanation from the source for why he had chosen to do what he did and what he expected to happen as a result — and it included one fact that the others did not: the source’s name. “I understand that I will be made to suffer for my actions, and that the return of this information to the public marks my end. I will be satisfied if the federation of secret law, unequal pardon, and irresistible executive powers that rule the world that I love are revealed for even an instant. If you seek to help, join the open source community and fight to keep the spirit of the press alive and the internet free. I have been to the darkest corners of government, and what they fear is light. 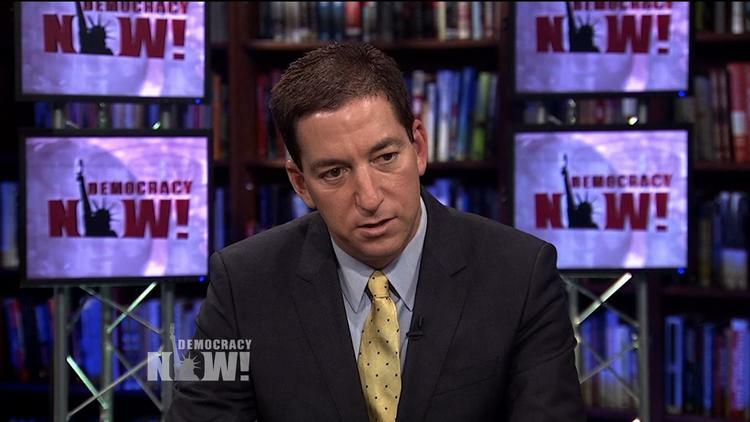 Glenn Greenwald, a former constitutional lawyer and a Guardian columnist until October 2013, has earned numerous awards for his commentary and investigative journalism, including most recently the 2013 George Polk Award for national security reporting. In early 2014, he cofounded a new global media outlet, The Intercept. This essay is adapted from his new book, No Place to Hide: Edward Snowden, the NSA, and the U.S. Security State (Metropolitan Books), published today. Excerpted and adapted from No Place to Hide: Edward Snowden, the NSA, and the U.S. Security State by Glenn Greenwald, published by Metropolitan Books, an imprint of Henry Holt and Company, LLC.